Trelleborgs have scored in each of their last 7 matches in Allsvenskan. Hammarby have been undefeated in their last 6 away matches in Allsvenskan. Trelleborgs have conceded 2 goals or more in each of their last 4 matches in Allsvenskan. 79% of Hammarby’s matches had over 2.5 goals scored in Allsvenskan. 35% of Hammarby’s conceded goals occurred after the 75th minute in Allsvenskan. Trelleborgs conceded at least one goal in 86% of their home matches in Allsvenskan. Trelleborgs have lost 71% of their home matches in Allsvenskan. Hammarby have scored in 83% of their away matches in Allsvenskan. 65% of Hammarby’s conceded goals were conceded at home in Allsvenskan. 82% of Hammarby’s conceded goals occured in the second half in Allsvenskan. Hammarby were leading at halftime in 57% of their matches in Allsvenskan. AGF Aarhus has under 2.5 goals in their last 3 games in Superligaen. AGF Aarhus ended draw their last 4 games in Superligaen. AGF Aarhus ended draw their last 3 away games in Superligaen. Vejle scored in last 3 home games in Superligaen. AGF Aarhus allowed opponents to score over 1.5 goals in last 3 games in Superligaen. L.A. Galaxy have been undefeated in their last 8 matches in MLS. Orlando City have conceded 2 goals or more in each of their last 7 away matches in MLS. L.A. Galaxy have scored in each of their last 14 matches in MLS. Orlando City conceded at least one goal in each of their last 15 matches in MLS. 67% of L.A. Galaxy’s matches had over 2.5 goals scored in MLS. L.A. Galaxy have scored 2 goals or more in each of their last 7 matches in MLS. Orlando City have lost 80% of their away matches in MLS. L.A. Galaxy have scored 2 goals or more in each of their last 4 home matches in MLS. 76% of Orlando City’s matches had over 2.5 goals scored in MLS. 73% of Orlando City’s points have been earned at home in MLS. Orlando City have lost their last 7 away matches in MLS. Vaasa PS have won their last 4 matches in Veikkausliiga. 74% of FC Lahti’s matches had under 2.5 goals in Veikkausliiga. Vaasa PS conceded at least one goal in 80% of their home matches in Veikkausliiga. Ilves have conceded 2 goals or more in each of their last 4 away matches in Veikkausliiga. Ilves have scored 26% of their goals in the first 15 minutes in Veikkausliiga. Vaasa PS have scored 27% of their goals in the first 15 minutes in Veikkausliiga. 66% of FC Lahti’s points have been earned at home in Veikkausliiga. Turku PS have failed to score in 60% of their home matches in Veikkausliiga. 69% of Turku PS’s points have been earned at home in Veikkausliiga. Turku PS have conceded 2 goals or more in each of their last 4 matches in Veikkausliiga. 74% of Ilves’s matches had under 2.5 goals in Veikkausliiga. 86% of Ilves’s conceded goals were conceded away in Veikkausliiga. 36% of Ilves’s conceded goals occurred after the 75th minute in Veikkausliiga. Valur have been undefeated in their last 8 matches in Urvalsdeild. Keflavík have failed to win in their last 13 matches in Urvalsdeild. Breidablik have been undefeated in their last 6 matches in Urvalsdeild. Keflavík have lost 100% of their home matches in Urvalsdeild. Valur have scored in each of their last 11 matches in Urvalsdeild. KR Reykjavik have scored 68% of their goals away in Urvalsdeild. Grindavik have scored in 83% of their away matches in Urvalsdeild. Keflavík have lost their last 6 matches in Urvalsdeild. Fylkir have scored in 100% of their home matches in Urvalsdeild. Keflavík have failed to score in their last 6 matches in Urvalsdeild. Hafnarfjordur have scored in each of their last 8 matches in Urvalsdeild. 77% of Hafnarfjordur’s matches had over 2.5 goals scored in Urvalsdeild. Keflavík conceded at least one goal in each of their last 8 matches in Urvalsdeild. 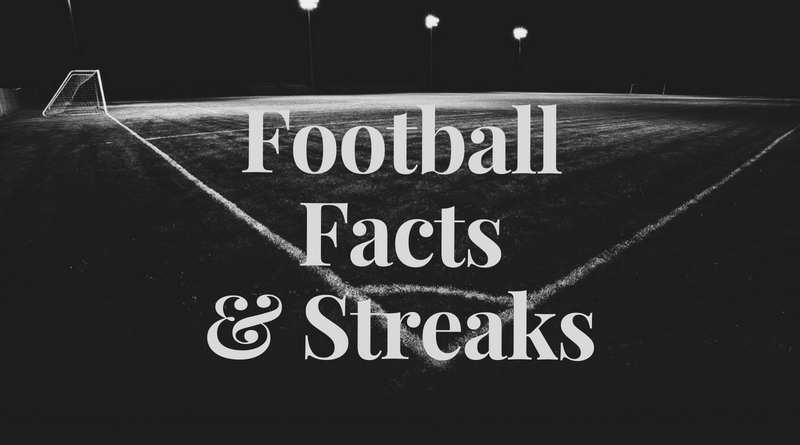 Keflavík have failed to score in 67% of their home matches in Urvalsdeild. 100% of Keflavík’s points have been earned away in Urvalsdeild. Hafnarfjordur conceded at least one goal in 86% of their home matches in Urvalsdeild. Hafnarfjordur have scored in 100% of their home matches in Urvalsdeild. Keflavík have scored 67% of their goals away in Urvalsdeild. Valur did not concede any goal in 67% of their away matches in Urvalsdeild. Fylkir have conceded 2 goals or more in each of their last 5 matches in Urvalsdeild. Fylkir have scored 2 goals or more in each of their last 5 home matches in Urvalsdeild. Valur have scored in 83% of their away matches in Urvalsdeild. Keflavík have lost their last 6 home matches in Urvalsdeild. Breidablik did not concede any goal in their last 3 away matches in Urvalsdeild. Keflavík have failed to win in their last 6 home matches in Urvalsdeild. Keflavík have failed to score in their last 3 home matches in Urvalsdeild. Fjolnir conceded at least one goal in 100% of their away matches in Urvalsdeild. Fjolnir have scored in 83% of their away matches in Urvalsdeild. Keflavík conceded at least one goal in each of their last 6 home matches in Urvalsdeild. Keflavík have conceded 2 goals or more in each of their last 6 home matches in Urvalsdeild. Hafnarfjordur have scored 2 goals or more in each of their last 4 home matches in Urvalsdeild. Fjolnir conceded at least one goal in each of their last 13 matches in Urvalsdeild. 82% of Fylkir’s points have been earned at home in Urvalsdeild.